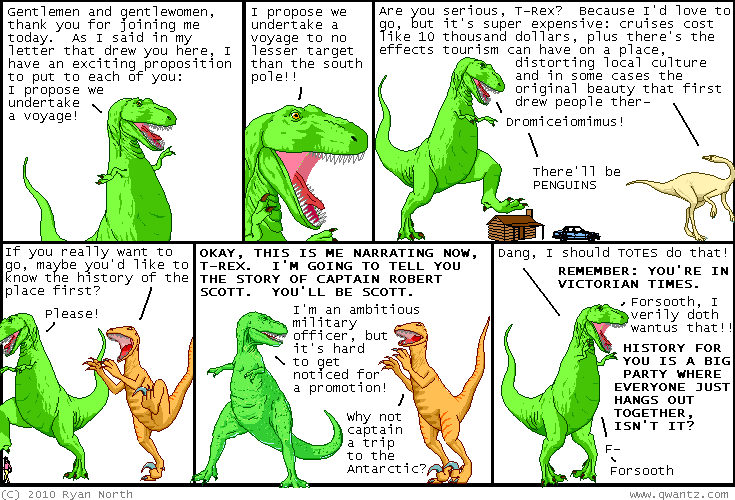 Dinosaur Comics - December 9th, 2010 - awesome fun times! –FROM NOW ON, "judging others" will be known as "J.O. ", or "J-ing O"! One year ago today: not the ADJECTIVEST NOUNS in the VESSEL is my favourite analogy. there's so many words you can substitute in there, there's no reason to use the same one twice! it's just a perfectly excellent analogy, and i wanted to share.